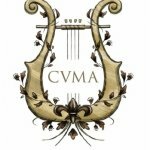 Welcome to the CVMA Reviews Page! Read what others are saying about us and feel free to tell us what you think! Studying voice with Diana at CVMA has been one of the best decisions I have made. While grounding me in focused, healthy, and specific technique, she has also empowered my artistry. Most importantly, she had helped me to find a beautiful marriage between the two things; by freeing up my voice's potential, I have also found more freedom in how I can use my voice to communicate deep and specific human emotion. She provides a safe environment for her students to go to new places with their work -- I always leave our lessons feeling like I'm ready for whatever comes my way! I find it rare and invaluable to have a mentor that takes care, yet finds a way to challenge you. I'm grateful to have Diana at CVMA. "As a colleague of Ms. Sophie Amelkin, I could not recommend her more highly as an instructor. The care and dedication Ms. Amelkin has toward her own voice is the same care and dedication she takes with her students' voices. As an instructor, she is focused on helping her students become mindful and well informed musicians. Encouraging deeper understanding of music, text, and their own instrument, Ms. Almelkin gives her students the tools they need to become self sufficient musicians. Her caring and diligent personality ensures that each student receives the unique attention they need, with each lesson being well thought out yet flexible, to meet her students where they are. Ms. Amelkin is an incredible example of what a voice instructor should be - thoughtful, dedicated, intelligent, supportive, and encouraging. I would trust her with any of my own students, knowing they would be in excellent hands". "I loved every moment of it. Joe is the nicest guy that I’ve met but yet he’s firm. He is very patient with me and the reason I can state that is because I know nothing about music, or anything related to music, and yet at the end of the day, I learn something new. I’m 24 years old and having an instructor like Joe, has given me motivation to never stop learning about music. Not only that, he was honest and from the get go, he told me it’s not going to be easy, but with my focus and his help, we will be able to accomplish my goals. He’s very down to earth. Talking with him and learning from him seems like another hang out with a good friend because he is very friendly. If he can help someone like me who was a stranger to instruments and knew nothing from the start, I’m convinced he’ll be able to help you too". Anna loves coming to Chanson. I think she feels ready to work. We appreciate Anna's relationship with, and trust of Samantha Laumann and like the positive, focused environment. We're glad to have this resource close to home. "I would highly recommend Anika for voice lessons. I was an absolute beginner when I started with no vocal aspirations beyond singing 'Happy Birthday' and karaoke with a little more gusto. Anika did a great job of identifying the level I was at and tailoring lessons specific to my needs. We went from the basics of how to breathe and stand while using your voice to singing songs(big deal for me). She has a great way of making beginners feel comfortable using their voice and every lesson was a pleasure to attend. If you're a beginner looking to try voice lessons you can't go wrong with Anika and from hearing her sing during lessons I think people of all levels could learn a lot from her". Chanson has a laid back feeling and Rebecca Hass, our piano teacher is fantastic, creative, kind and encouraging. The location is close to home and easy to get to and park at. Chanson is just really great! "Working with Samantha has been a wonderful experience. As a performer from the Twin Cites, I was looking for a vocal coach who is was proficient in Musical Theatre, who could provide guidance in my quest to future my career. although, I have only been working with Samantha for a few months, I feel I have come so far in my vocal performance. She had helped me clean up bad habits and strengthen prior techniques from several years of voice lessons, show choir and other musical theatre training. She has helped prepare we with skills and insight to succeed with auditioning, growing as an artist, and most importantly maintaining a healthy voice. Her knowledge is invaluable. As a fellow dancer she knows where my training is and provides unique techniques that blend smoothly with my other training, to help develop a well rounded performance package. I am so thankful that I found her studio on Thumbtack, she has been an absolute joy to work with". Chanson has a non-stressful, friendly, comfortable, cozy environment and is a nice place to be. My son likes learning his instrument, new songs and techniques. I appreciate the opportunity for him to have a good teacher close to where we live. My son likes Scott and says he is funny, and I appreciate his flexibility. "I have been a vocal student of Justin's for the past 5 years and it has been a great learning experience. Over the years I have learnt the importance of right breathing techniques, effective vocal exercises and finding ways to improvise my singing style each lesson. Justin is a patient and flexible teacher. I love to learn different genres of music and Justin has helped me with each request. Justin doesn't just teach you. He knows what you need to help take your vocal capabilities to the next level." Chanson's environment is very cozy and we appreciate that. I look forward to seeing my choir friends when I come here each week. I want to have a job involving music so I'm really happy to have classical training. I love working at CVMA!! It has a welcoming ambiance and I Iike the location. Read more reviews of all of our instructors on each of their pages.